Item # 157133 Stash Points: 4,499 (?) This is the number of points you get in The Zumiez Stash for purchasing this item. Stash points are redeemable for exclusive rewards only available to Zumiez Stash members. To redeem your points check out the rewards catalog on thestash.zumiez.com. 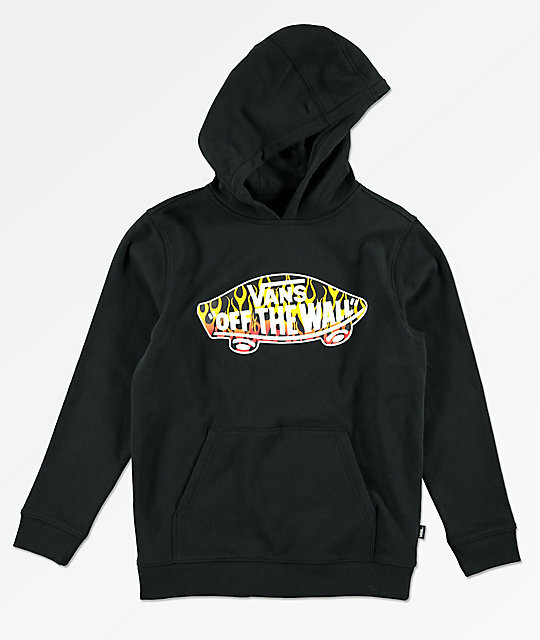 Old school styling meets modern comfort with the Off The Wall Flames black hoodie from Vans. With a soft fleece lining for comfort, this hooded pullover sweatshirt features a flaming "Off The Wall" logo graphic screen printed on the chest. 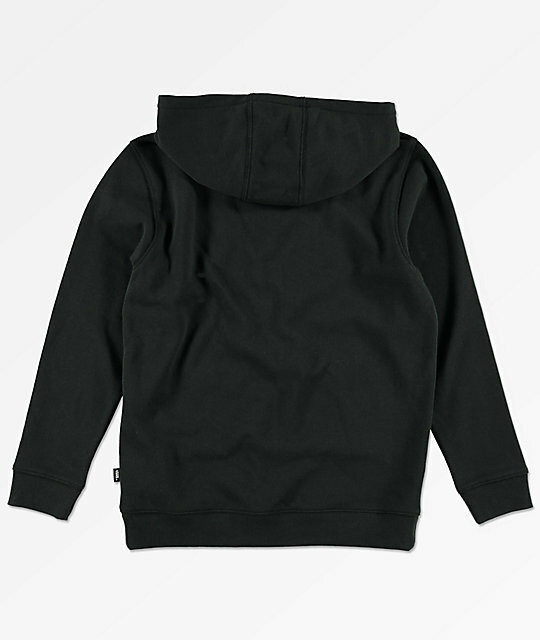 Boys Off The Wall Flames Black Hoodie for boys from Vans. Screen print logo graphic on the chest. Woven brand tag on the left side seam. Soft fleece lining for comfort. 24" (61cm) from the shoulder to the bottom hem. Measurements taken on a Youth Medium and may vary by size.